“City transport hubs and public transport” is the third part of City Design online course at Stepic.org. All in all one lesson represents a direction to study the topic more deeply. 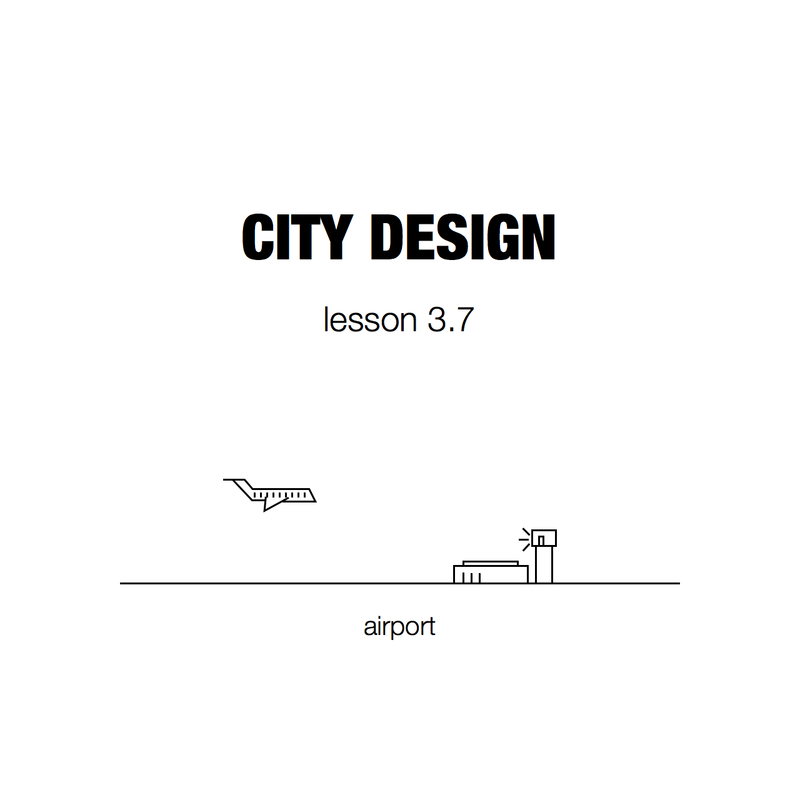 There’re 8 lessons that cover city transport hubs and public transport. First 4 lessons describe inner city communications, how citizens are transported, what objects (i.e. station, terminus, stop, etc.) and other infrastucture elements (i.e. railways, electric wires, etc.) are required. 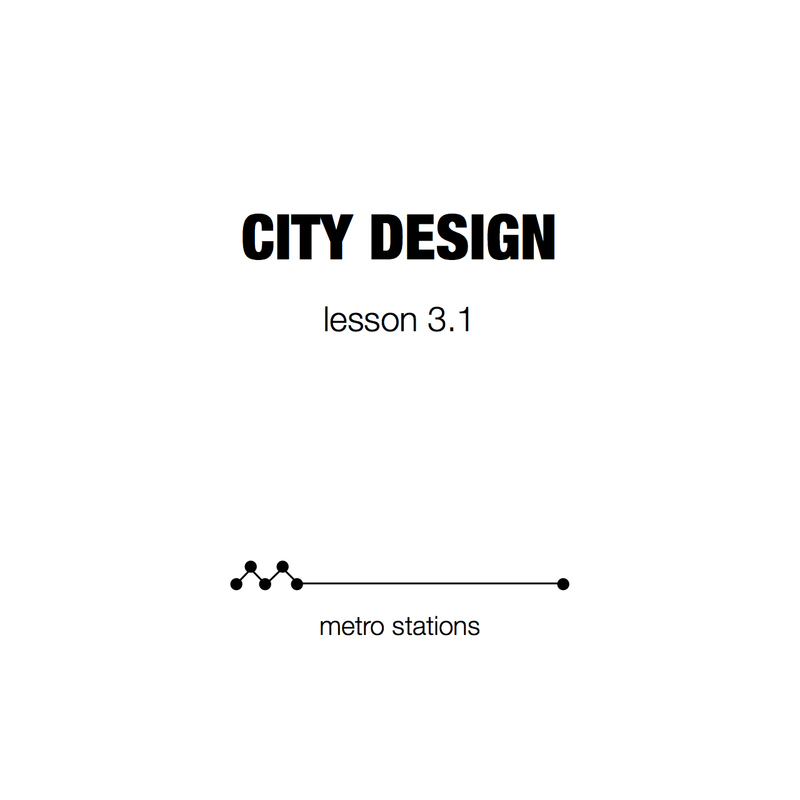 Next 4 lessons tells how cities communicate, what objects were built to provide intercity communication and how they evolved over time (from seaports to spaceports). how to locate transport hubs (i.e. helipads) in the city (vertical view). There’re different network topologies of the rapid transit. 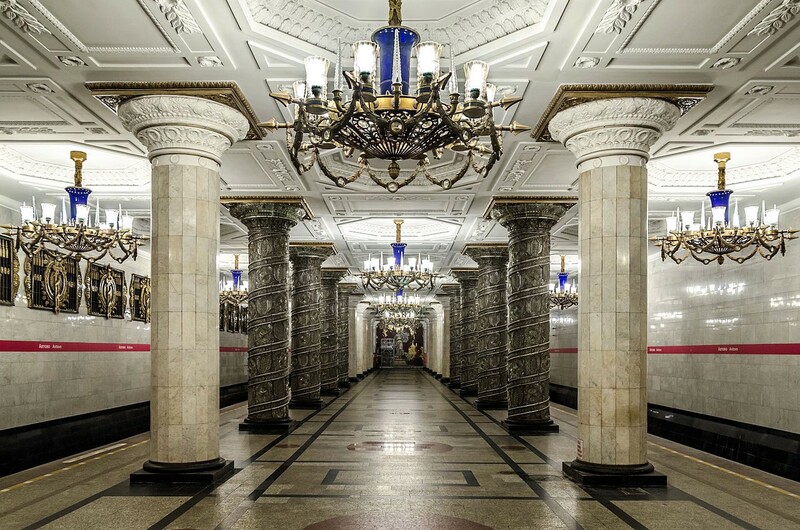 The Soviet Union filled its stations with ornate architectural and decorative detail (Saint Petersburg Metro, Russia). 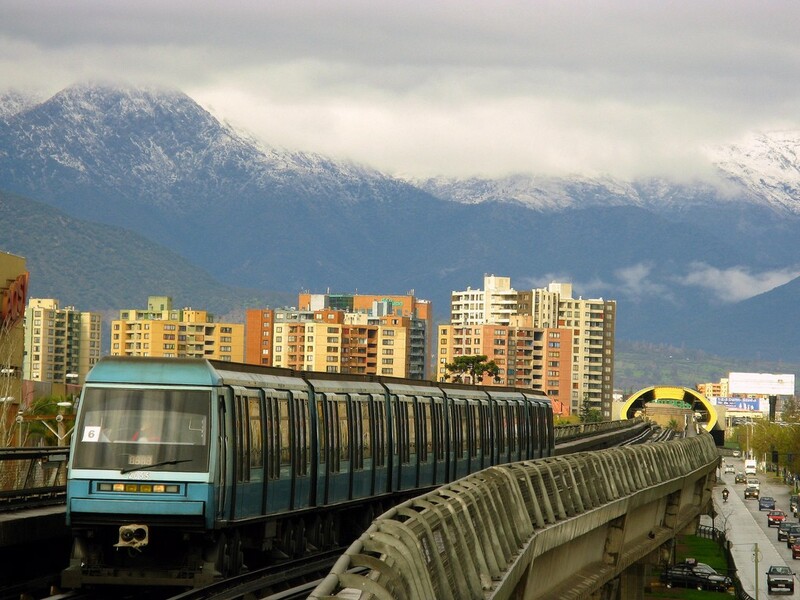 5-Line of Metro de Santiago(Chile) combines rubber tire traction with elevated right-of-way. Commonly a bus stop is defined by a set of elements, including a bus stop sign or a shelter. For more details please have a look at “Bus Stop Guidelines Brochure” (2009) by Washington Metropolitan Area Transit Authority, “Bus Stop Infrastructure Guidelines” (2009) by Auckland Regional Transport Authority or “Bus Rapid Transit Stations and Stops” (2010) by American Public Transportation Association. 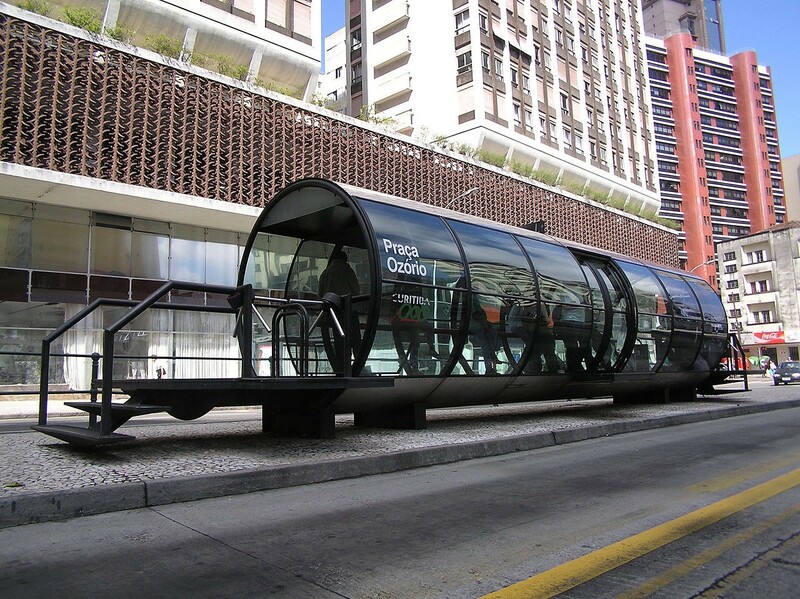 Bus shelter for the RIT system in Curitiba, Brasil, known as “tubo” (tube). Recommended: “The Bus” comics by Paul Kirchner. 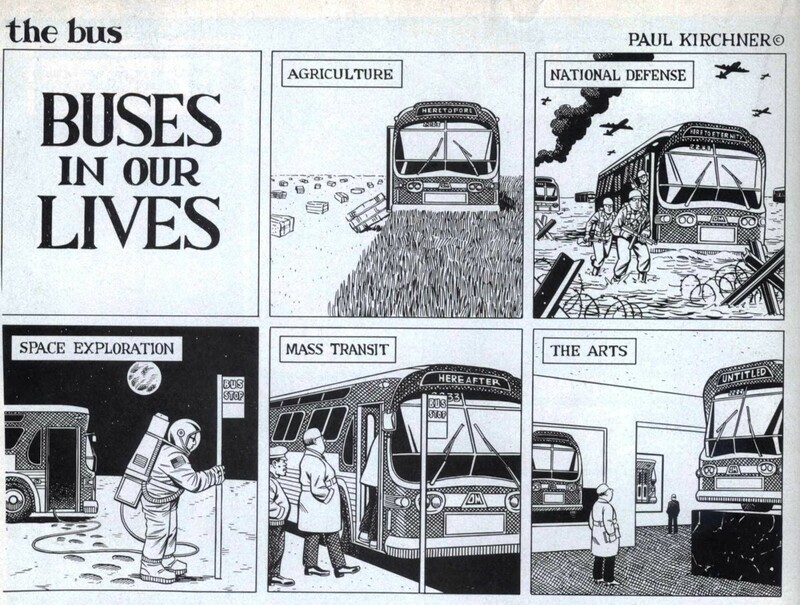 “Buses in our lives” comics. 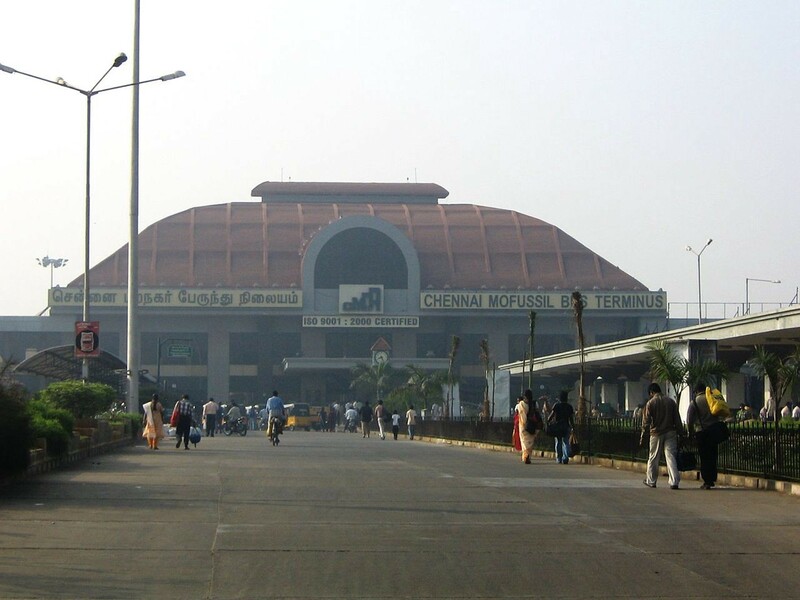 The Chennai Mofussil Bus Terminus, the biggest bus terminus in Asia. Running a tram requires infrastructure: fixed rails, shared roadspace and electric wires to feed power with a pantograph (a trolley pole). Fully restored 1920 Toronto streetcar. 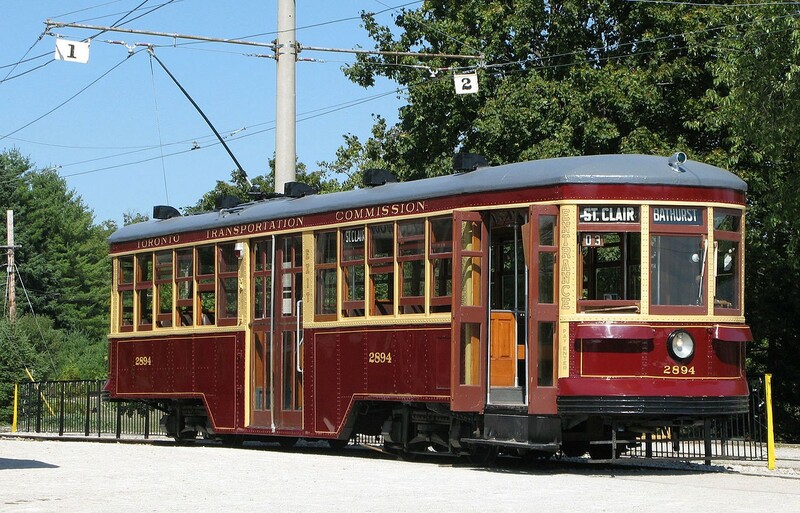 A Peter Witt streetcar in the 1921 livery of the Toronto Transit Commission, at the Halton County Radial Railway museum. The rollsigns are set as they would be if the car was operating on the Bathurst route as far as St. Clair Avenue, once its northern terminus. Trams in Vienna, one of the largest existing networks in the world. Helipads can be placed at special parks, on rooftops of office buildings (where it is displayed the weight limit and the maximum rotor diameter) or hospitals and police stations. Also there’re helicopter deck on ship and oilrigs. There’re even portable helipads. 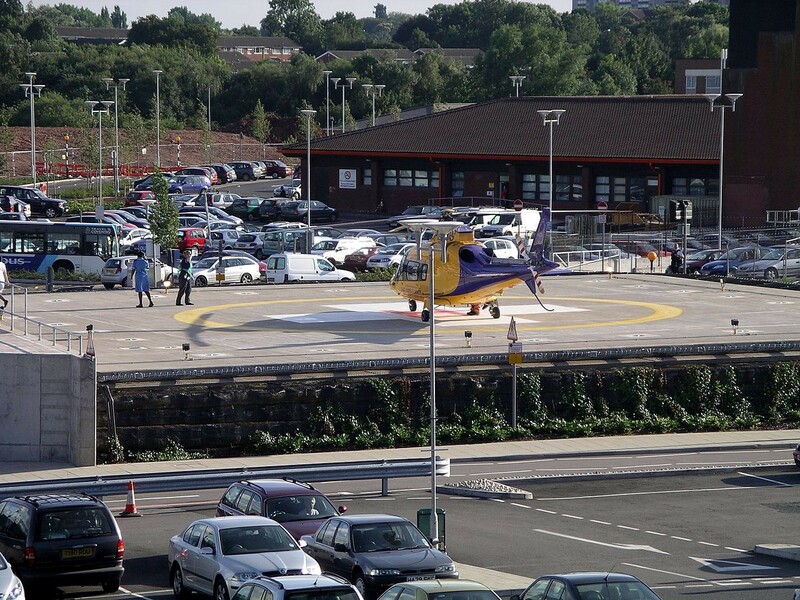 The main helipad at University Hospital Coventry in England. 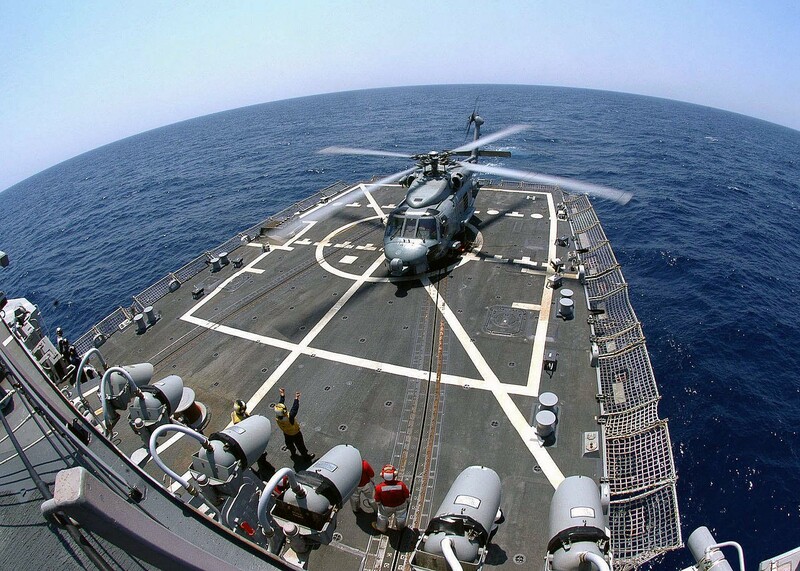 A U.S. Navy SH-60 Sea Hawk helicopter prepares to lift off from the flight deck of an Arleigh Burke Class destroyer. finally the most advanced and future-oriented transport hubs were introduced — spaceport. Port is a place where ships can dock. Also at seaports it is possible to transfer cargo and passengers. Coastal cities had a clear answer where a city center was situated and where to put a port. 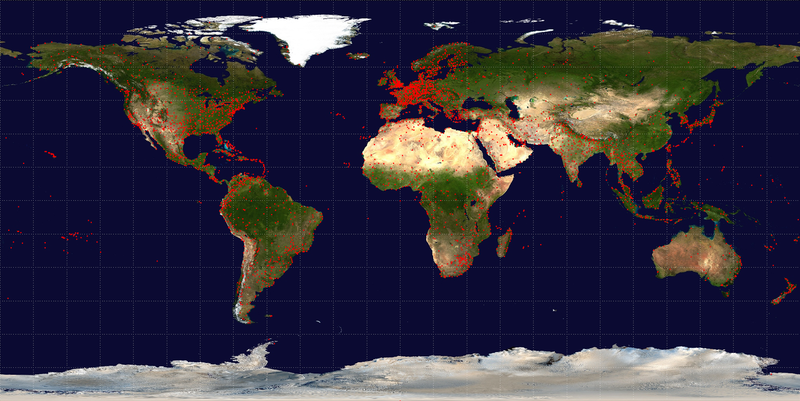 But when there were no access to rivers or seas cities had other transport hubs. 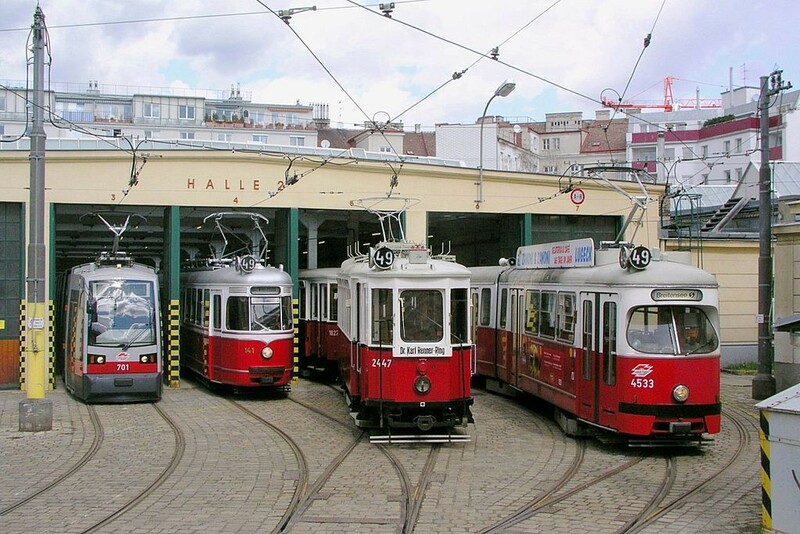 In case of train stations a terminus was located closely to the city center and suburbs had some additional stops. 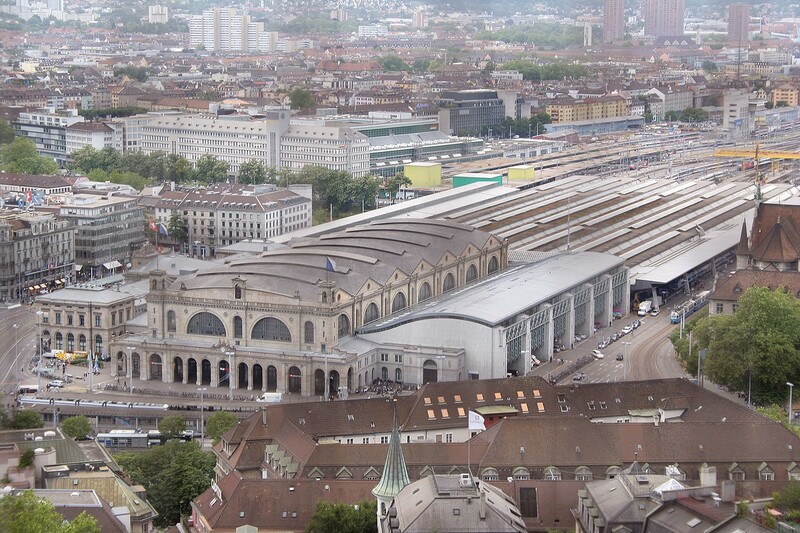 As well as being a terminus, the station now has underground S-Bahn platforms serving a newer line that runs beneath the city centre. 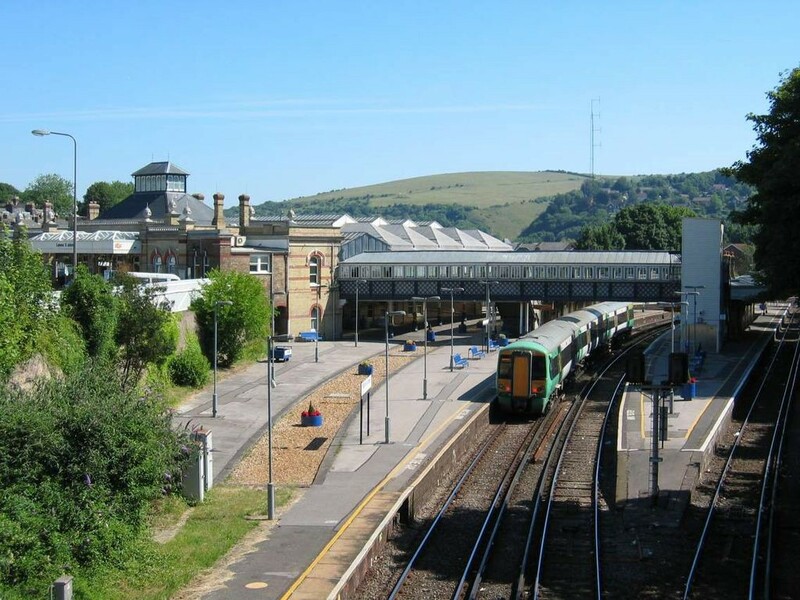 The typical non-terminus Lewes railway station in East Sussex, United Kingdom. Passengers reach the island platform (on right) by a pedestrian footbridge. Two further platforms are out of view. Air transport allows faster travelling between cities on long distances. For example, comparing by ship transporting. Still on short distances travelling by train is comparable. 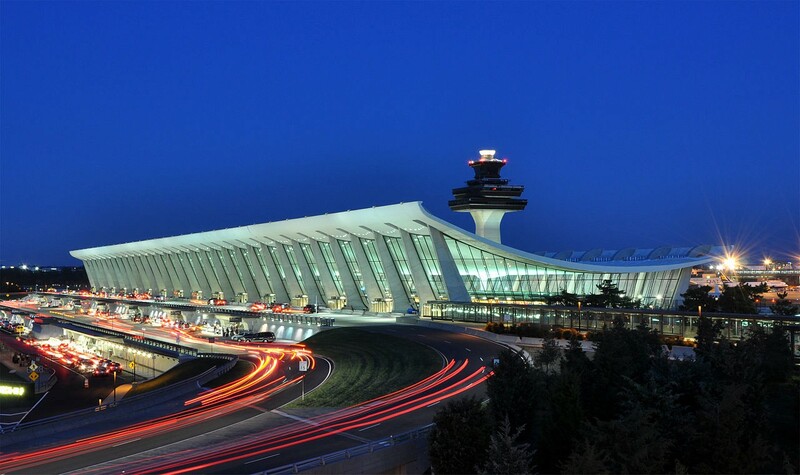 Washington Dulles International Airport, ostensibly the setting for Die Hard 2; the movie was actually filmed at Los Angeles International Airport. Spaceport is the only transport hub that is not required by the city, but more like the otherwise — spaceports need cities as an infrastructure. 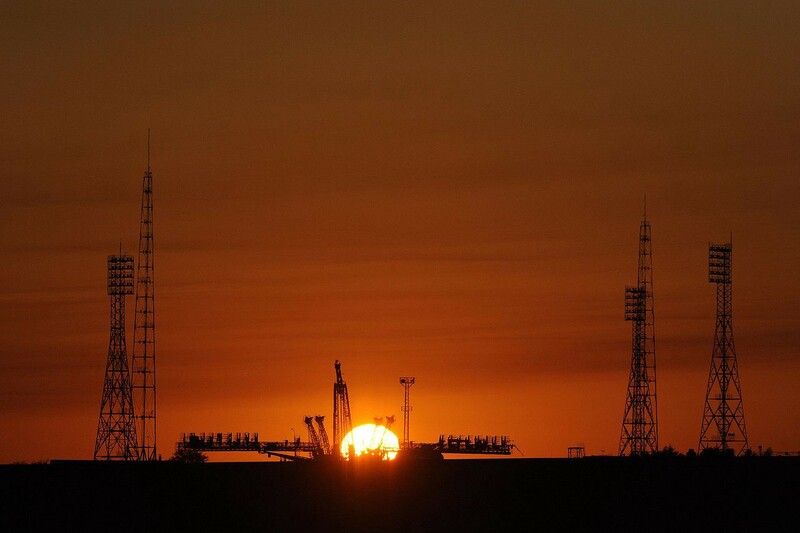 The Baikonur Cosmodrome (Gagarin’s Start launch pad). 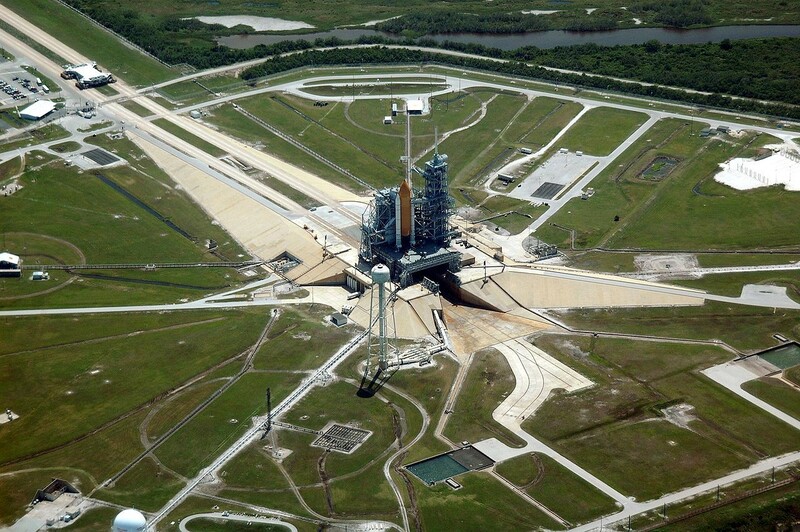 Launch Complex 39B, Kennedy Space Center.